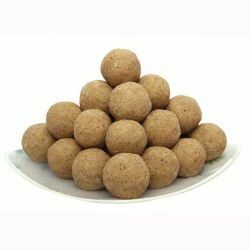 How Can I Get Andhra Sweets Online? Sweet preference of people differs dramatically according to different states of India. Sweets and savories form an integral part of Telugu culture. Made on auspicious occasions and festivals, they are given to visiting relatives. Orderyourchoice.com facilities Telugu People to get Andhra sweets online which helps them to celebrate their native festivals like Makara Sankranti, Maha Shivaratri, Ugadi, Sri Rama Navami, Varalakshmi Vratam, Dasara, Deepavali, Deepothsavam and many festivals without any hassle. Andhra Pradesh is known for its spicy foods besides its people are also fond of sweets particular so-called Andhra sweets like Boondi Mithai, Drynuts Pootarekulu, Boondi Ladu, Soan Papidi, Boondi, Thokukudu laddu, Milk Mysurpa, Kajjikayalau, Tirupati Laddu, Gujia, Kaja Sweet, Gavvalu, Kakinada Khaja, Rava laddu, and Badusha are some of the famous Andhra sweets available online at Orderyourchoice.com these sweets which are famous across regions of Andhra Pradesh like Tirupati, Vijayanagar, Visakhapatnam, Vijayawada, Guntur, Nellore, Kurnool, Kadapa, Godavari, Srikakulam of Andhra Pradesh. We have many more Andhra sweets online available at OYC these Andhra sweets online have an intense ghee content to arouse your sweets buds. Orderyourchoice.com undertakes free delivery services in the formerly mentioned regions of Andhra Pradesh so that Telugu People can enjoy their native desserts anytime anywhere in Andhra Pradesh. The term Andhra sweets online are synonyms with OYC because we dedicate our operations and commitment towards sourcing only the best quality Andhra sweets online to be portrayed as Andhra sweets online from dominant sweets producers so that you can taste our Quality Andhra sweets online anytime anywhere in India. We prep online our Andhra sweets online with immaculate details and packaging so that it looks glamorous as it tastes. Only the best quality Andhra sweets online are showcased in OYC site they are from native Andhra sweets makers like Andhra Home Food, Samskruthi, Andhra Swagruha, Amaravathi Andhra, Adyar Ananda Bhavan Sweets, Grand sweets, G.Pulla Reddy Sweets, Madhurams Sweets, Suruchi Foods, Alluraiah Sweets, Swagruha Foods, Abhiruchi Sweets, Alankar Sweets and Bakers, Sri Balaji Ghee Sweets & Home Foods, Karachi Sweets, Sri Bhakthanjaneya Suruchi Foods, Sri Gruha Laxmi Home Foods, Sri Krishna Sweets, Bengali sweet shop, etc… are some of the prominent producers of Andhra sweets we utilize them to provide you quality Andhra sweets. They are native sweet makers of Andhra Pradesh renowned for producing sweets of immaculate quality. We maintain a stock of the most famous Andhra sweets which are most sought after by Telugu people. These sweets brim with Andhra heritage right from the very looks to the taste everything about them is unique. Our sweet customers now can get their hands on the most revered Andhra sweets without even traveling to Andhra thanks to OrderYourChoice.com they can easily place an order for their sweets online at the comfort of their homes all possible due to our official sweet site dedicated for Andhra sweets online. Andhra sweets online are possible only because of internet OYC utilizes the power of the internet to connect with you and provide Andhra sweets online and to make your sweet purchasing experience hassle-free and enchanting. OYC provides Andhra sweets online at reasonable prices which includes online sweet delivery charges our range of Andhra sweets online can fulfill your cravings for sweets. Andhra sweets online delivery is most sought after service nowadays because of the hectic lifestyles of people. Thus we guarantee timely delivery of your Andhra sweets. You can also avail discounts for our Andhra sweets online during festive seasons like New year, Valentine's day, Christmas etc. We also promise you prompt delivery of our Andhra sweets online even on such intense festive days as mentioned above. OYC provides Andhra sweets online to any states across India so that you can indulge your sweet senses with exotic aroma and flavors of Andhra sweets online. Thanks to our trusted network of logistics players we can assure you timely online sweet delivery. Buy Andhra sweets online to get a glimpse Andhra tradition. You can order your Andhra sweets online and make payments using different methods we provide varied options like Net banking, E-wallets like Pay u biz, PayTm, and also support bank deposits so that it is easy for our customers to carry out payments and get their delivery of quality Andhra sweets online anywhere in India.Our Andhra sweets online are available in various forms as mentioned above for the same you can avail online sweets delivery which is carried out with ease by OYC because of our trusted logistics players they make online sweets delivery of your favorite Andhra sweets online. We can send online sweets to any parts of India within 2-7 Business days. Suggest some of the famous Andhra sweets ? when it comes to famous Andhra sweets we take the following sweets into consideration namely PoothaRekulu, Poornamboorelu and Kakinada Kaja. PoothaRekulu a paper sweet made using Rice batter, ghee and sugar, PoornamBoorelu which is a deep fried sweet prepared from a stuffing consisting of Channa, jaggery that is coated with mix of rice and urud batter, and Kakinada kaja which gets it name from Andhra city called Kakinada and is made using wheat flour, sugar and oil. How should we eat Pootarekulu which is regarded as one of the most famous Andhra sweets? Pootarekulu comes under the category of Andhra sweets that has a melting tendency thus should be consumed slowly to relish its true taste. There are assumptions that the outer skin of Pootarekuku is made up of paper but is in fact made from rice paper which is edible thus Pootarekuku should be consumed whole with the rice paper. Why is Tirupati Laddu considered the most famous Andhra sweet? Tirupati Laddu also called SriVari Laddu got its name as it is served as a Prasadam to devotees at Venkateswara Temple located in Tirumala, Andhra Pradesh. It is given as two variants one which weighs 175gms and another massive variant which has a staggering weight of 500gms called as Kalyana Ladoo these laddus are made by hereditary Priests called Achakas they prepare these ladoos in Potu, a large Kitchen that is present within the Temple’s premises. 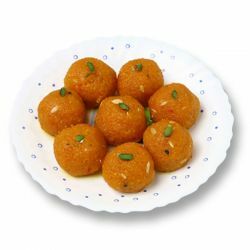 The laddu is famous due to its connection with the Venkateswara Temple mainly. What are the must taste Andhra sweets online? Boondi Mithai, Drynuts Pootarekulu, Boondi Ladu, like Tirupati Laddu, Gujia, Kaja sweet, Gavvalu, Malai Khaja, Rava laddu, Mysore pak, Drynuts Pootarekulu, Soan Papidi, Thokukudu ladu, Kakinada Khaja, Kajjikayalau, are some of the most sought after Andhra sweets we have on store. These sweets inherit characteristics of Andhra tradition and are used by Telugu people in celebrations like Dasara, Deepavali, Deepothsavam, Makara Sankranti, Maha Shivaratri, Ugadi, Sri Rama Navami, Varalakshmi Vratam etc. I am a native of Andhra Pradesh so how long does it take to get my Hyderabad sweet delivered? Usually, it takes around 2 – 3 business days to complete delivery to Himachal Pradesh since it is a remote location. We see to that your sweets stays fresh by keeping it refrigerated throughout the entire transit so that quality of the sweet is not compromised. If delivery is failed as a result of unforeseen circumstances refund of the paid amount will be initiated shortly within 2-3 business days. I order this Chitti Kaja from Bangalore. Delivered in 1 day itself. Attkula Mixture is my favorite. Thank you so muc for delivering it soon. I brought boondimittai from OYC its taste is so mesmerizing. OYC is the best place for you to get quality sweets I highly recommend. OYC is the best place to get sweets on time without delay they provide your prompt service. My Laddu is mouth watering good iam really pleased with my order thnks OYC. OMG i never thought buying laddus online would be tis great.